As the civil war in Syria rages on and various newspapers startle at the involvement of Russian and Iranian forces so close (territorially at least) to those of France, the UK and the US, the inevitable questions come to the forefront: should we be fighting together against Daesch whilst running the risk of appearing complacent with the al-Assad regime? Has Putin won his diplomatic armlock with the west? Will and should al-Assad stay in power, as some increasingly on this side of the Atlantic and in particular the Channel have advocated, in the name of controlling the extremist “surge”? The lesser of two evils, really? Anyone following the European press at the moment will often read the following assertion – the west should follow the Russian and Iranian example and prioritize fighting against the Islamic State (Daesh) first. After all, the al-Assad regime cannot be worse than the warped vision of Islam that a murderous gang utilizes to commit its atrocities. To this skewed view point, a trip down memory-lane must be conducted. In the wake of the various popular uprisings tentatively called the “arab spring” that started on the 17th of December 2010 in Tunisia, Syria, like any other autocratic regime, experienced its own peaceful demonstrations: on march 15th 2011 protestors marched through the streets of Damascus demanding democratic reforms, the release of political prisoners and an end to the systematic syphoning of funds either by the security services or party-affiliated cronies that caused the corruption of the Syrian state. The initial reaction of the security forces summed up the regime’s view of the Syrian people – shots were fired, 6 people were detained according to the BBC and would swiftly be joined by dozens more as the protests continued. What followed was a period of brutal and secretive repression – the Caesar report published in 2014 and presented to the UN from the photographic evidence given by a former Syrian army photographer working in only one area of Syria showed over 55,000 photos of 11,000 emaciated, tortured bodies, some with marks of strangulation or electrocution, other with their eyes gouged out. The report, compiled by respected legal and human rights experts, including the chief prosecutors for the International Criminal Court of Yugoslavia, Sierra Leone and Liberia has been acclaimed by Amnesty International as well as most western and Arab governments. Palatable though the Syrian regime might seem, especially when President al-Assad meets his Russian counterpart this week, the reality is different. Putting aside all pretense of caring for the democratic aspirations of the Syrian people, for argument’s sake, the maintaining of the al-Assad family at the head of the Syrian state and as the official façade presented to both the Syrian people and the international community is tactically untenable, if indeed the main priority is to fight against Daesh. To put it simply, Daesh’s best recruitment tool is the al-Assad regime. With the family still in place, Daesh has very little to do in terms of convincing the local population that both the “West” and Iran do not care about their plight but instead back the regime that has oppressed them for the last 30 years. One wonders how to convince the Syrian rebels neither affiliated with Daesh nor with the regime that their cause is being heard, if the placards of a grinning President is all they can hope for in the future. If cynics were to consider only one reason in their decision making, it should be this one: with the al-Assad family still in power embodying the Syrian state, Daesh will have propaganda field day. The family and most of its close affiliates must go, which incidentally is what the British government had proposed back in 2013. 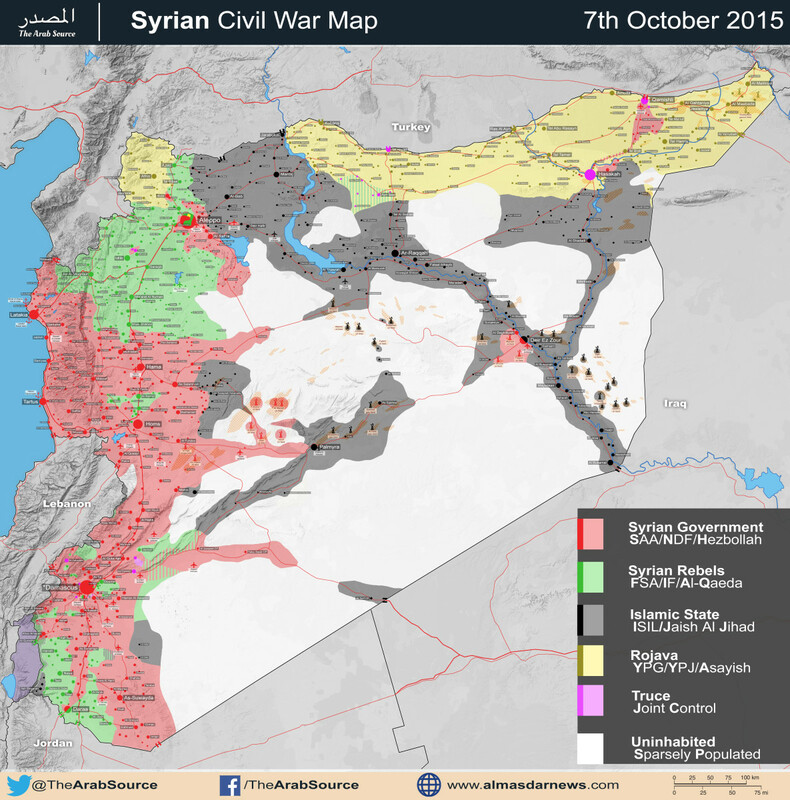 Dismantling the Syrian regime – anyone up for Iraq, the sequel? As much as the West loves to adhere to ideals, the dismantling of the whole of the Syrian apparatus, and in particular the security services in a very short amount of time à la Iraq is neither recommended nor useful. It is not useful, from a purely Western point of view as countries such as France, Britain or the US would benefit much more from having the majority of their contact points still in place than have to rebuild decade-long relationships and circles of influence. Let us remember that the international community is also engaged in an internal struggle with Syria just happening to be the proxy battlefield – dismantling the whole of the Syrian apparatus would throw the regional powers into a network-building frenzy that could turn even uglier and condemn Syria to decades of instability as each international power placed his Syrian pawns on the chess board. It is not recommended, as the Iraqi debacle demonstrates: the “de-baathification” of Iraq post 2003 created deep resentment and sectarian conflicts that resulted in years of instability, a weakened central government, uprisings in Fallujah and even, arguably, the rise of Daesh itself, according to several scholars with Mrs. Benraad being among them. Transpose the Iraqi chaos into Syria, and factor in the magnitude of the dismantling – one need only read Mr. Ziadeh’s book on the Syrian apparatus to understand the enormity of the task – and you are left with two gaping political vacuums on the doorstep of several crucial regional partners – Turkey, Jordan and Israel. Completely destroying the Syrian administrative machinery is therefore a recipe for disaster – far better to ease the war torn country into a period of transition, where the state is changed progressively in order to allow ordinary citizens to recuperate first. However, this is not to put the reform packages on hold indefinitely – on the contrary, if the conflict has taught us one thing is that the Syrian people are willing to die in the most barbaric of circumstances, whether at the hands of governmental thugs or Isis killers, in order to provide the next generation with a better future and democratic principles recognized and cherished by most, if not all. Consequently, if the preferred tactic is to destroy Daesh first and then bring about gradual but inexorable regime change, then the al-Assad family and immediate associates must step down.